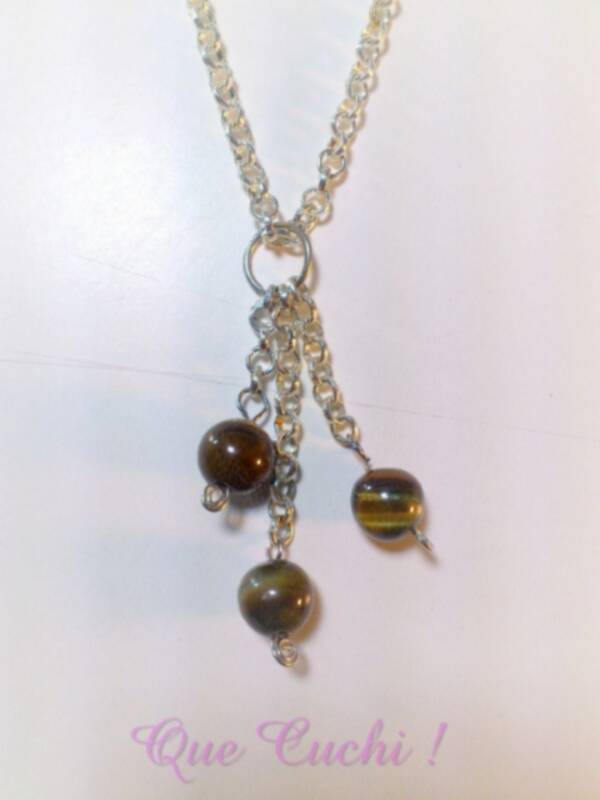 Pendant mounted hand with metal silvered without nickel wire, three pearls 8 mm Tiger eye in a chain of 44 cm around the silver metal neck. The silver metal is nickel free. The Tiger Eye strengthens bones and joints, distant stress and avoids stomach problems. It reflects the negative energies towards its transmitter. It filled with warmth and security. Zodiac: Libra, Virgo, Leo, Cancer, Gemini, Taurus and Aquarius. Earrings Silver Chain, Tiger Eye and Bull Eye .